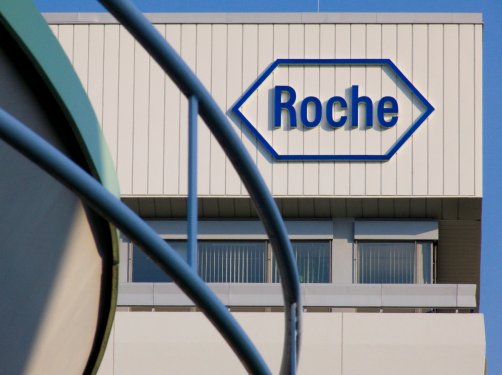 Roche will pay $450 million to acquire the RNA specialist firm Santaris Pharma in order to once again begin research into ‘silencing’ certain genes. The Swiss firm will buy into Santaris, a privately held biopharma company based near Copenhagen in Denmark, to take on its Locked Nucleic Acid (LNA) platform. This has contributed to an emerging era of RNA-targeting therapeutics – a relatively new class of medicines that has the potential to address difficult to treat diseases in in a range of therapeutic areas. “Today there are many disease targets that are very challenging or even impossible to reach with small molecules or antibodies,” explains John Reed, head of Roche’s pharma research and early development unit. The deal is expected to close this month, according to Roche, which says it plans to maintain Santaris Pharma’s operations in Denmark, where the existing site will be renamed ‘Roche Innovation Center Copenhagen’. Under the terms of the agreement, Roche will make an upfront cash payment of $250 million to Santaris Pharma shareholders and make additional payments of up to $200 million, which will be based on the achievement of certain milestones. Roche struck a $140 million research deal with Santaris at the beginning of the year, but has made a big leap with its purchase of the firm just six months later. This also comes amid a spate of deals for Roche, and is the third acquisition by the cancer specialist in as many months. It bought the US biotech group Seragon Pharmaceuticals for a cost of up to $1.7 billion in July, and the US gene-sequencing group Genia for up to $350 million in June. But this comes four years after Roche looked to have dropped out of the RNA race after the firm cut much of its staff and resources from researching the area four years' ago. But in early 2013 Roche did make a $392 million RNA deal with specialist biotech Isis. This, coupled with the latest deal announced this week, shows the firm is performing a U-turn on its 2010 decision to exit this research area. Delivery and other technical problems have been a typical problem for many firms and their big pharma partners researching RNA in recent years, with other companies, such as Novartis, also cutting back on research in this area. Much of the industry’s current expertise resides in a handful of small biotech companies, with two North American companies playing a pivotal role in the advancement of the field, naemyl: Alnylam, based in Cambridge Massachusetts and Tekmira in British Columbia in Canada. Others in the field include Santaris and UK-based Silence Therapeutics, with GSK, AstraZeneca and Pfizer some of the big pharma names who have also bought into this therapy area. It was once seen as the great white hope of pharma R&D, but the promise has not yet been delivered. The research in this area focusses on ‘messenger RNA’ that plays its messenger role carrying genetic information to the ribosome, where this code is converted into proteins. By blocking the messenger RNA, a disease bearing gene can thus be ‘silenced’. As messenger RNA is involved in all cells, RNAi has the potential to open up the entire human genome to therapeutic intervention, including targets previously considered ‘undruggable’ and inaccessible to small molecule therapeutics. The technology promises to harness a natural process called RNA interference (RNAi). RNAi promises to unlock the functional proteomic knowledge from the Human Genome Project. Currently, only around 5,000 of the 25,000 or so human genes have proved to have corresponding successful drug targets - these are the receptors that lie on the cell surface and are therefore accessible.